The Australian education system is slightly similar to what you have experienced here in India in terms of the types of qualifications and their durations. However, the Australian education system is more specialized and the focus is on both, vocational training as well as academic studies. In terms of flexibility, the Australian education system is slightly similar to the U.S education system. For most courses, you will be allowed to select subjects as per your interests, with some exceptions. Some of the main features of the Australian Education System are discussed below. Post – school education in Australia is widely referred to as ‘Tertiary Education’ and comprises of ‘Higher Education’ as well as ‘Vocational Education and Training’. Just like the U.K, ‘Higher Education’ in Australia includes of all courses that lead to degrees including Bachelor’s courses, Master’s courses and Doctoral Courses. Such courses are generally provided by Universities and Colleges. ‘Vocational Education and Training’ or VET refers to courses that focus on imparting skills in students rather than academic knowledge. Such courses prepare students for the professional world and the purpose is to make them ‘job – ready’ upon completion of the course. Instead of a degree, you would be provided with a diploma or a certificate upon completion of the course. Such VET courses are generally offered by government institutions called Technical and Further Education (TAFE) institutions. Some private institutions also offer such courses. Australia is home to around 43 universities and many other vocational academic institutions. Even though the number of universities is very small as compared to the U.S or the U.K, the quality of education provided by them is equivalent to the academic standard of some of the world’s best institutions. A proof of this is in the fact that out of these 43 universities, 7 are in the top 100 universities of the world. Most of these Australian universities are funded by the Government. They are regularly assessed by various organizations like the Tertiary Education Quality and Standards Agency (TEQSA). Some of the most reputed universities in Australia include the Australia National University, the University of New South Wales, the University of Melbourne and the University of Sydney. The best universities in Australia are a part of a coalition which aims to provide all students with world – class education known as the ‘Group of 8’. You can think of this as the ‘Ivy – league’ of Australia. Apart from the above mentioned universities, the Group of 8 also includes the University of Adelaide, the Monash University, the University of Queensland and the University of Western Australia. Apart from these big universities, Australia also has many reputed vocational colleges and institutes. Some are funded by the Government whereas some are funded by individuals. These vocational training institutes focus on imparting professional skills in their students. There are various types of degrees that are offered by Australian universities including Bachelor degrees, Master degrees and Doctoral degrees. The Bachelor degree courses are generally of 3 years and they are generally conducted in 2 semesters between the months of March to November/December. However, some universities conduct courses in 3 parts which are known as ‘Trimesters’. Your degree will depend on your subject, very much like it is in India. For example, after the completion of your 3 year Bachelor’s in Commerce course, you will be awarded with a B.Com degree whereas upon the completion of a 3 year Bachelor level course in visual arts, you will be awarded with a B.VA degree. 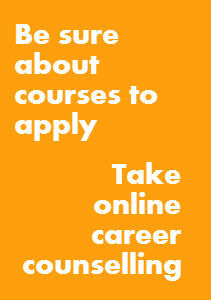 You can also choose to pursue a 4 year ‘Bachelor’s Honours’ course. Such courses are more detailed and more in – depth as compared to Bachelor degree courses due to the additional year. However, you can only pursue such a course once you’ve completed your Bachelor’s degree. Keep in mind that such courses are conditional; the university will only offer this additional year/qualification to you if your academic performance in the past 3 years of your degree has been satisfactory. Apart from the above mentioned degrees, you can also choose to pursue a 2 year ‘Associate degree’ course. Such courses are offered by several universities and vocational institutes. These courses provide you with the choice of working right after the completion the course or studying further by joining the 3rd year of a Bachelor’s course. You will also have the option to pursue various diploma and certificate courses provided by vocational institutes. Such courses aim to impart practical skills and professional knowledge amongst students. The level of the course depends on your previous qualifications; if you’re a graduate, you will pursue a Graduate certificate or a Graduate diploma, and if you’re an undergraduate then you can pursue a certificate, diploma or an ‘Advanced diploma’ which is equivalent to an Associate degree. In terms of course structures, the Australian education system is slightly similar to the U.S education system. You get to choose from a variety of subjects (known as units) as per your interests and wishes. You have to choose a ‘Major’ which is the main focus of your study and is generally the field you want to pursue a career in. Most courses require you to pursue certain mandatory subjects for a particular major. Apart from your major, you have the option to choose from various ‘Elective’ subjects. These subjects may or may not be related to your major. The purpose of these electives is to allow students to pursue their other interests as well as gain additional knowledge in subjects that contribute towards your overall development. You will also have the option of choosing ‘Minors’. A minor will be your secondary field of study. Many students choose to pursue a minor so as to improve their chances of getting a good job. For example, it is a common practice for students who have a Major in Economics to pursue a Minor in Mathematics at the same time, as knowledge in Math is important for any Economist. You will also have the option of pursuing a ‘Double Major’. A double major basically means that you are graduating in two different subjects with a primary specialization in both. However, under most circumstances, students who are pursuing double majors cannot opt for elective subjects as their schedule is full with the subjects related to both their majors. Like the U.S and the U.K, Australia also uses a ‘credit points’ based system. Each of your course units/subjects is worth a particular number of credit points. You will earn the credit points for a particular subject once you have attended the required number of classes and have qualified in the assessment. Generally, one subject would be worth 6 credit points or units. Some project based subjects are worth 12 credit points. Universities in Australia usually require you to earn 144 credit points to earn a Bachelor’s degree. As an international student, you will have to earn a minimum of 24 credit points every semester. Australian universities do not use a standard system when it comes to deciding a student’s grade. In some universities, High Distinction is awarded if the student scores above 80%, whereas some in some universities, High Distinction is only awarded to the students who have scored above 85%. However, a student who scores less than 50% will be awarded with an ‘N’ or ‘Fail’ grade by almost all universities. Keep in mind that different universities have different policies according to which they decide a student’s grade and these policies can vary from time to time. The teaching methods followed in Australian classrooms are similar to the ones followed by U.K universities. Teachers are friendly and students are encouraged to take initiatives and express their opinions freely. Students get the opportunity to gain practical experience as well as increase their academic knowledge through different types of classes .Course work includes lectures, seminars, tutorials, laboratory work, assignments, practical work, field trips and research work. 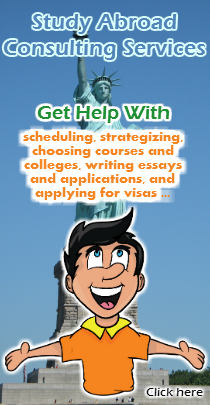 Assistance is widely available for internationals students who are facing difficulties in coping with the education workload. You might also get the opportunity to work as an intern in a field related to your course provided that your visa allows it and that it is a necessary part of the course. A unique factor about the Australian education system is the ‘Australia Qualifications Framework’. It is basically a set of standard qualifications that are applicable to all universities and institutions. It covers all qualifications from all levels of studies, from the school level to the university level. The basic purpose of this qualifications framework is to allow a person to move from one level of education to another easily and ensure choice and flexibility. Through these qualifications, you can be assured that whatever type of course you’re pursuing, be it a certificate course or a diploma course, will have a certain amount of value attached to it. This value can be transferred to another course so that you can study further if you wish to. This basically specifies the eligibility criteria for an education level as well as explains the ‘pathways’ that one can use to achieve a certain qualification.